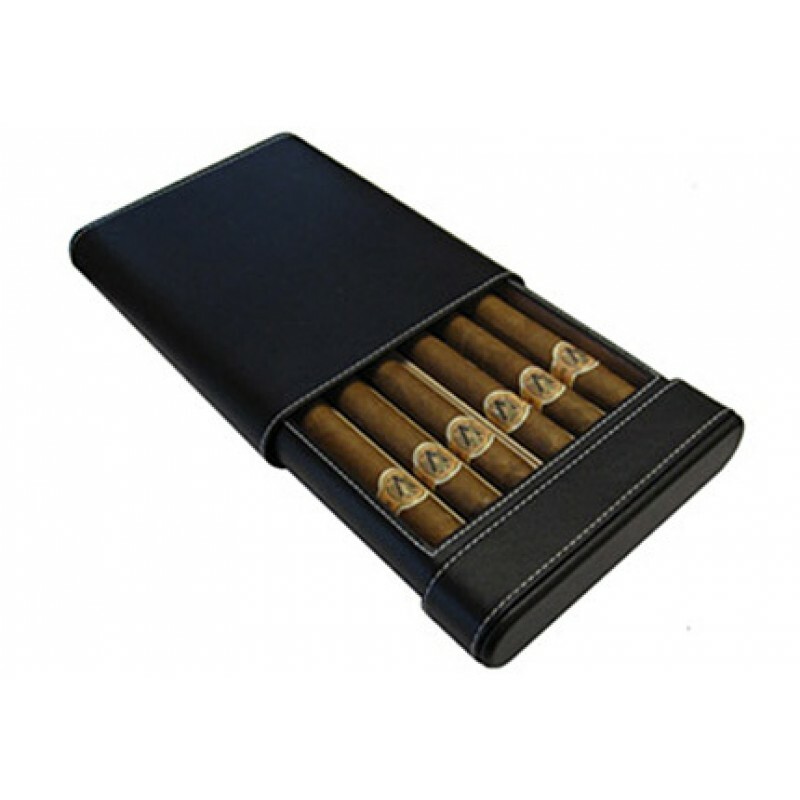 This portable black leather case cigar humidor is something you don't see everyday! 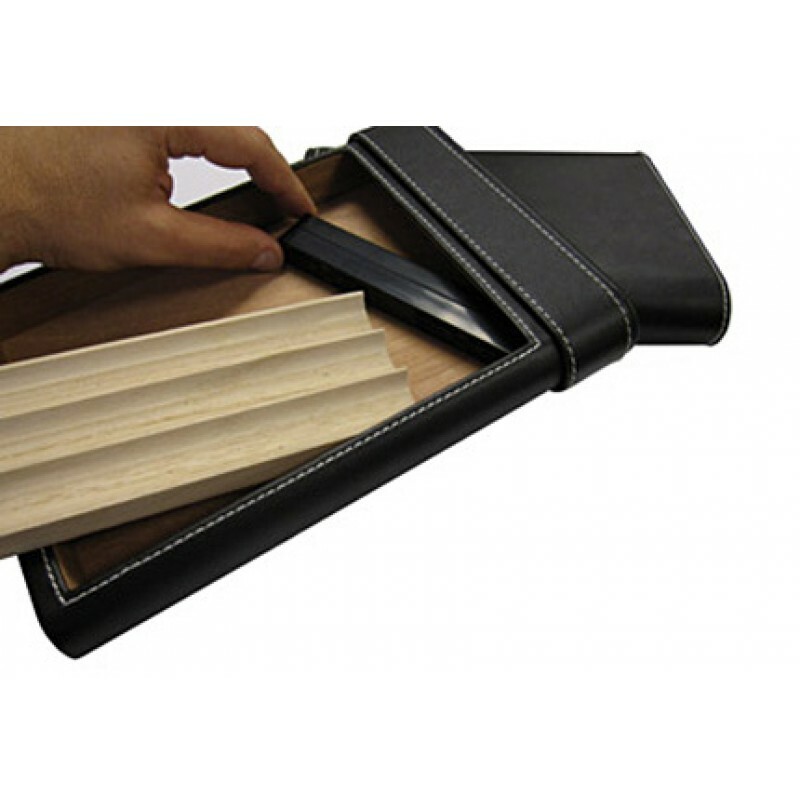 This piece is crafted in quality leather and accented with white contrast stitching for a commanding appearance. 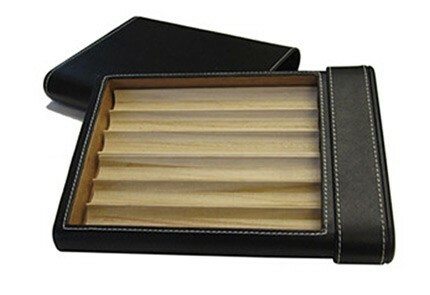 Sliding the case open reveals 2 removable cigar beds that can protect six 60 gauge cigars up to 8" long. 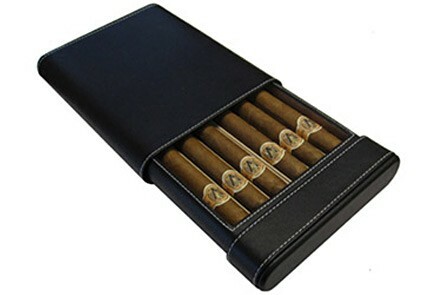 Don't have cigars that large? 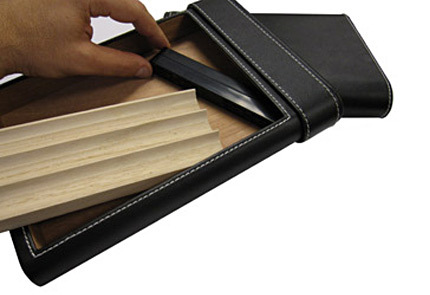 This case is completely versatile. 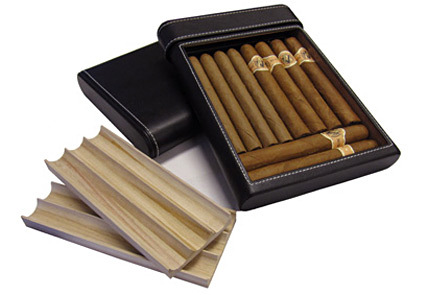 Simply remove one or both of the cigar beds to allow for additional room to store up to 15 medium size cigars. 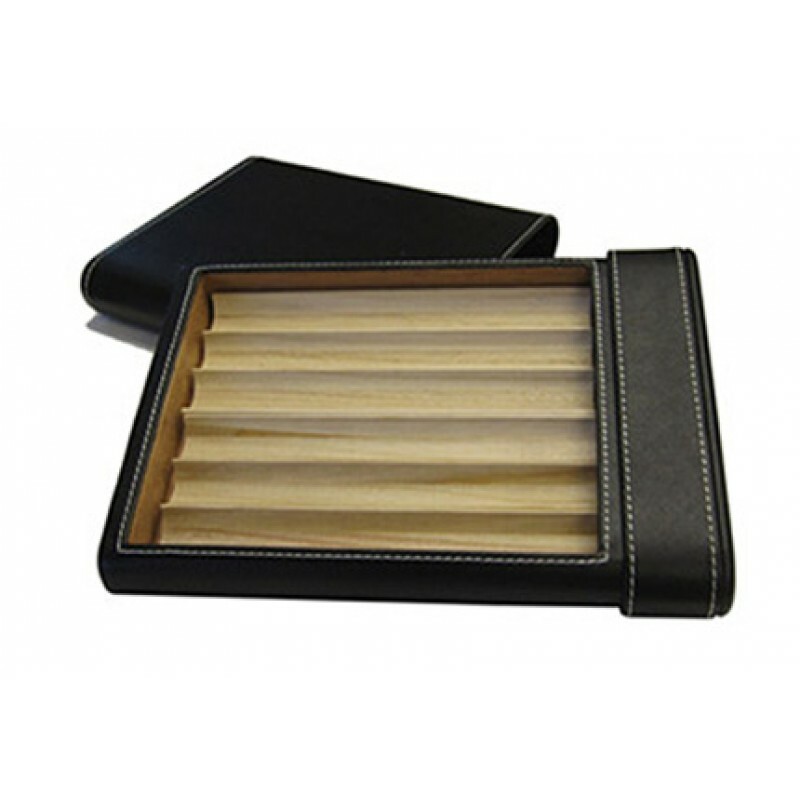 Includes a strip style humidifier that is easy to access and sits perfectly at the end of the case. 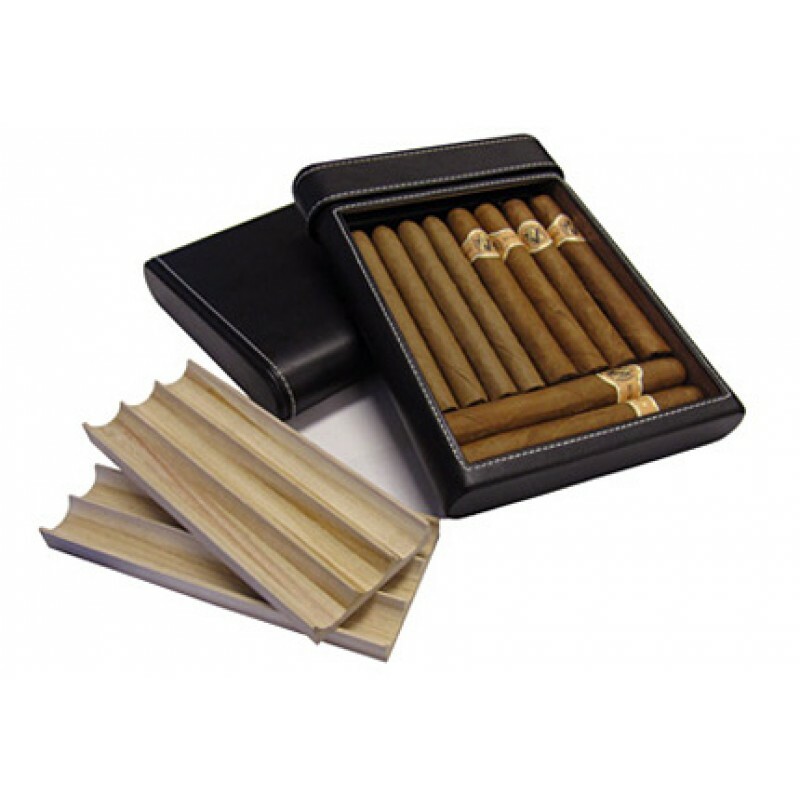 Cigars not included and are shown for display purposes only. Excellent Review by I am me .